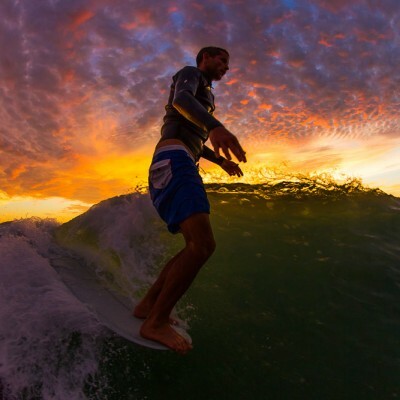 Joel Tudor Surfboards, Longboard World Champion, US Open Champion, Surfer, Skateboarder, Black Belt in Jiu jitsu, Vans Duct Tape International Surf Competition. 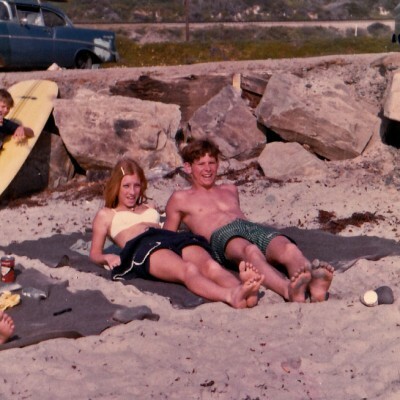 Our family’s origin of wave-riding traces back to 1960. 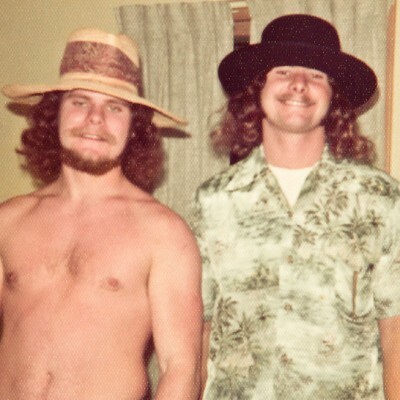 My father and his brother were both blessed with the opportunity to begin a life long passion, which is known as surfing. Lucky for them their first board was a Velzy-Jacobs pintail pig. At that time it was common for children to share a board between siblings. Raised in a military family, they were given access to San Onofre and the breaks south between there and Cardiff. Over time their ability developed and a love for Hansen-Doyle models followed. Everything was groovy and then came the shortboard. They rode Frye’s and Chapman’s. 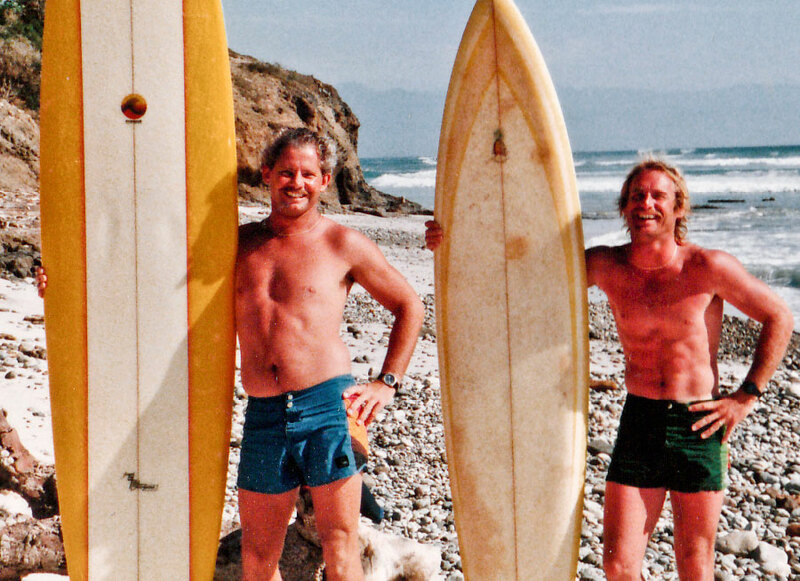 By the time the 70’s rolled around my dad stumbled into Sunset Surfboards and began a relationship with Bill Shrosbree, a friendship and collaboration that still exists today. 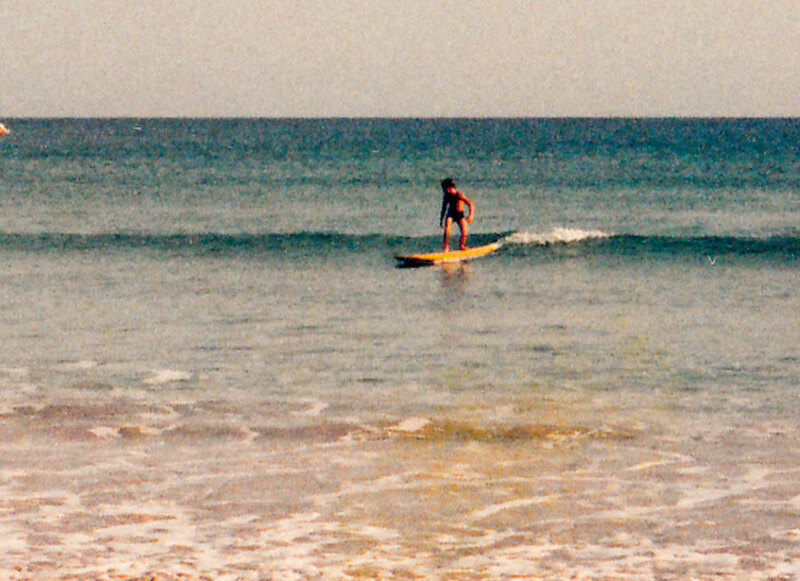 Somewhere around 1975 my pops got sick of riding shortboards. His memory of “trim” and “nose riding” spawned an interest to try and find a longboard (a task quite hard unless you knew Donald Takayama at that time). Shros’ history dated back to Bing and the models that followed. 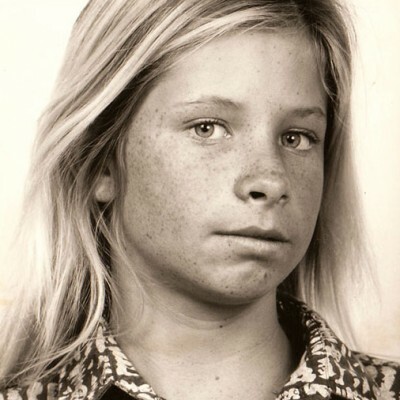 He honed his skills under the legendary Wayne Land and San Diego shaping community of that period. 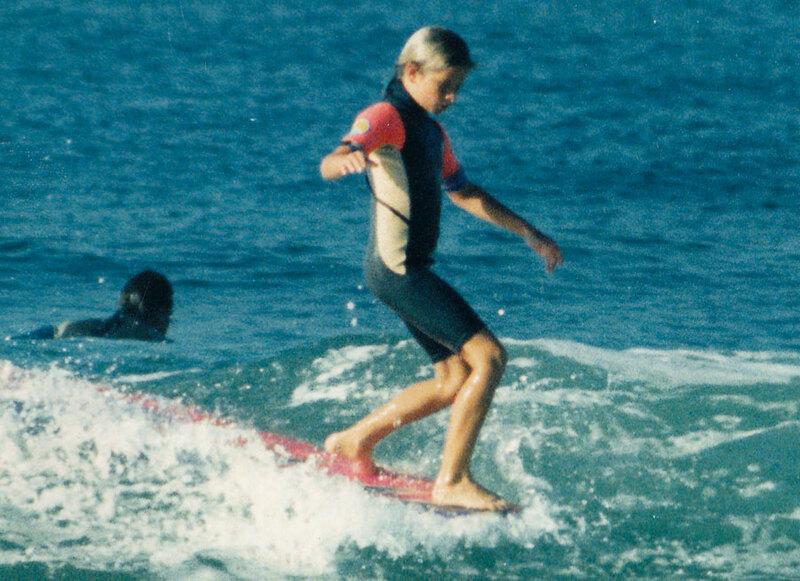 What few longboards were shaped in the late 70’s weren’t quite longboards by today’s standards. Most ranged between the lengths of 8’0 and 8’6, and still had the characteristics of the beautiful shapes disregarded in ’66/’67. Out of this madness came the “Papa Joe” model (circa ‘78/’79), a shape that he still rides today. Here comes Joel. At the age of twelve I landed in the good graces of Donald Takayama and “all things” his world had to offer. This was a schooling in design and history from the generations preexisting my birth. THANK YOU Uncle Donald for all of this. I was blessed to be given the opportunity to study under Donald (a term used all too loosely these days) who I believe to be the greatest longboard shaper of our time. We’ve all heard the term, “nothing last forever”. As we all know, in DT and my collaboration, this too was the case. 1998 found with it the start of Tudor Surfboards. It was difficult to try and make models that were different from Uncle Donald’s, but we pushed forward. 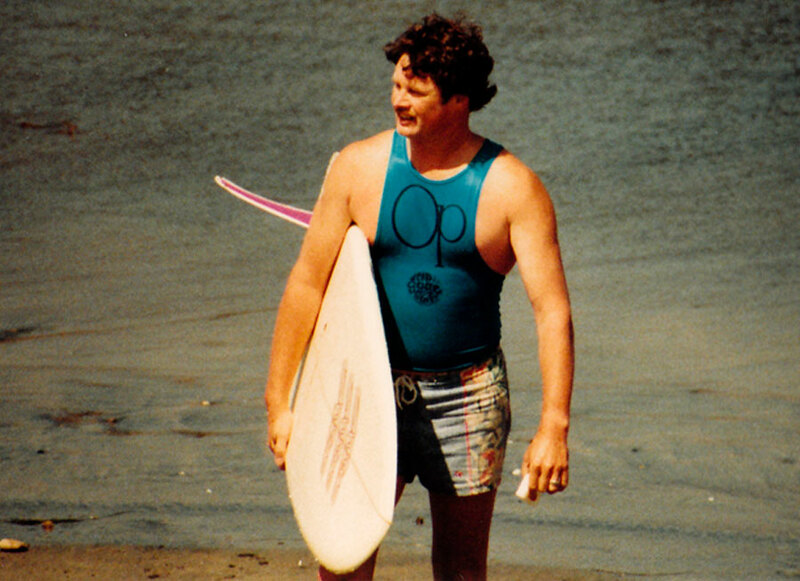 Out of our first efforts came the “Papa Joe”, again, and the “Diamond-T.” Both boards would go on to aid me in two separate victories at the US Open and multiple events that followed. I had found success in my own designs, without barrowing or stealing someone else’s. Sometimes your parent’s influence and opinions is hard to take but in the situation of surfboard design, it was very true. What I was searching for in design just happened to be sitting in the back of my dad’s ford pickup for almost thirty years (Thanks Dad). Everything that followed during the last decade of my company’s existence was a reexamination of my dad’s old boards and what I had picked up along the way on this quest for knowledge with regards to my water bound activities. Everything involved in this companies existence is the product of a constant study of what is possible and what is not, in this beautiful lifestyle we call surfing. Hold the phone Chuck… there’s more to come. We at Tudor Surfboards are on a constant quest for enlightenment and inspiration from all areas of this beautiful culture that we take part of. Sometimes what we throw away and disregard as unusable or outdated is really what you are looking for the entire time. We’re all incredibly grateful to be at this point in surfing; a time where you can watch Kelly Slater’s progression while simultaneously pulling inspiration from our heroes and past legends. Essentially, allowing us the ability to define our individual styles and choose the equipment to support that feeling we call surfing. Thank you for your time and effort in attempting to understand my perspective.